Welcome to this week’s episode! Helena Hunting serves up a romcom with a great opener! We discuss how the narrator, Holly Warren, has a special challenge in this chapter. And she delivers! 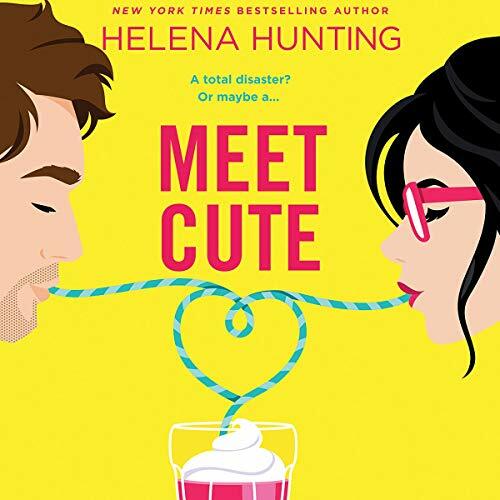 Courtesy of Hachette Audio, enjoy the first chapter of Meet Cute! Also! We are a proud partner of the Listen Up newsletter! Click here to get yours. Correction alert: When we recorded this episode, the wrong male narrator was listed on the book at Audible. The correct narrator is Teddy Hamilton. So now we HAVE to listen to the rest of it! Episode 18: Shooting for the Stars and an interview with Emma Wilder! The Story Bites Podcast™is a co-production of Tuxbury Publishing LLC and Blunderwoman Productions. Our engineer is the terrific Andrew Parella. Our musical elements are licensed from Freevocals.com. Copyright Sarina Bowen & Tanya Eby, 2018-2019. Download your favorite audio book podcast for free each Thursday.